TC Electronics are well known for their G-System for guitar. But is the G-System any good? And how hard it it to use? 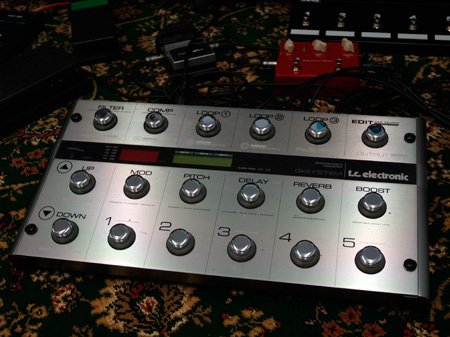 This is a review of a piece of kit I wanted a long time ago - the TC Electronics G-System. 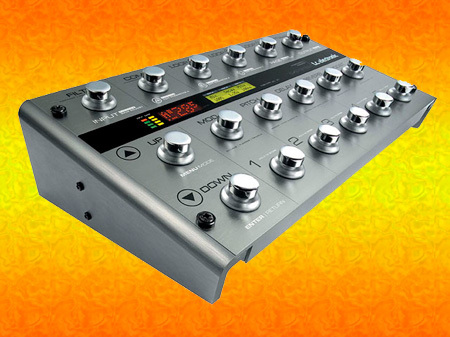 The only thing was the price that stopped me buying one - here in the UK they typically cost £1199.00 pounds and that's a chunk of money for an effects unit no matter how high tech this thing is. Anyway I bought one. But the good news is - I did NOT buy it from the UK and never would - because this G-System from New York including shipping cost just £699.00 pounds - and that's a MASSIVE SAVING. You get the same warranty, the same product (it works from 240 Volts without modifications) and everything else you would get had you bought it in the UK - oh and that price INCLUDED the shipping and the nasty stuff - VAT. My contact is readily available on eBay and you will not have to look hard to find him - he's very near the Brooklyn Bridge. Anyway, enough of that, what about the G-System processor. Well, this thing has everything you could want from an epic effects unit, and it also has the advantage of a floor switcher to boot. I have no problems with my DMC Ground Control for all of that but hey, this included a switcher in the design so whose complaining? You get all the usual effects (check the net for these because I don't want to sit here writing about which are in there) suffice to say these are all as good as you can buy almost at any price - and absolutely top notch stuff. There is also FOUR external loops which you can incorporate your favorite pedals, whether they are chorus things, or preamp drivers or anything else like say a univibe is up to you. Just two cables and you're connected. Another nice thing I like is that you can power the pedals from the G-Systems main unit (in my case this is on the floor) and that can save a fortune in batteries or simply just get rid of that mess of cables. There are numerous user banks and preset banks so there's little you can't do with the G-System. But one thing (there's always one) did bother me and it took a while to solve. When you connect this unit in to the effects loop of your amp (the best way) you get a very annoying mains loop hum through the amp. It is not easy to solve especially if you have no clue where it's coming from in the first place. Eventually I solved mine with an isolation box that connects the amp send and return and the effects unit send and return via miniature isolation transformers inside. That took care of the hum problem. But the re was more. The unit was almost uncontrollable with feedback etc. when you plugged it in - even though the units levels were all correct. This also took me some time to figure out. That problem related to a 'boost' switch on the G-System. You see, TC Electronics don't mean boost, like more of, when they say it (they are foreign :-) what they mean is something that when enabled (in the settings) gives you about five hours of aggravation trying to find the problem. Eventually I did get the thing set up. Don't depend on ANY dealer to help - they typically have no clue. Likewise, the manufacturer and his manuals are bordering on awful. Maybe they just don't understand English. Either way, you can rest assured that the useless manual will get you nowhere very fast. Luckily, there is a great forum - and one guy has even taken the time to write his own manual (I found out later). His manual explains much about the G-System and would have been a great help earlier on - if only I had known. TC Electronics remain nebulous about their manuals - and it's not limited to this product either - I have other stuff which the manual remains even as bad as the one with the G-System. The moral is - go to the forums FIRST. Back to the unit. You can mount the brains of this unit either under the floor pedal, or in a rack (nice for TriAxis users) and connect the floor unit and the rack with simple RK45 Network Cable for computers - a very nice trick indeed. The overall build of the unit is exemplary and I cannot fault the quality of either the hardware or the sounds therein - they are nigh on perfect. There is the odd silly sound programmed in - as most units seem to have from every manufacturer but apart from that it's cool. Even the MIDI is excellent. Roland should talk to TC Electronics. The only shortcomings in my view of this product were firstly the requirement to buy a device to stop the hum - they could have solved that internal to the unit, and secondly that dastardly and awful manual. With the G-System it's like buying a 747 jet and being asked to get in and go for a flight - oh and the manual is in Japanese (it may as well been). Needless to say, a crash will be imminent. So, I give this unit an 8 out of 10 and no more because of these two problems. If only they... anyway they didn't. In retrospect with all the hassle at the time this should have been a 5! I really did not like having to buy extra kit to stop the noise - a real pain. 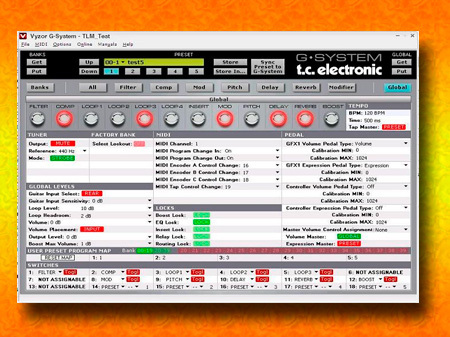 There's also a really nice piece of software to control and setup the sounds and everything else you might want to do with this unit - that's a big blessing in disguise, because the G-System is so complex anything you can get that makes things easier is a definite bonus.